Gerald Anderson – Hot Pinoy! 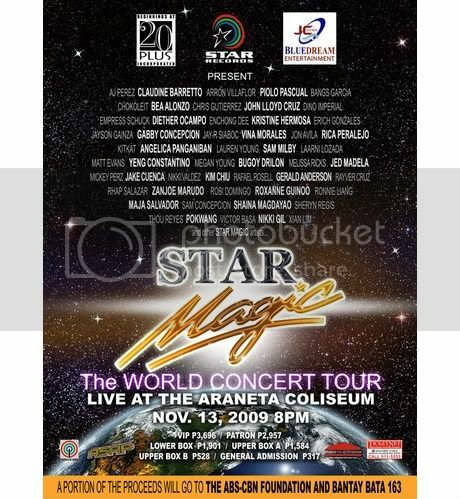 Star Records together with Beginnings At 20 Plus and Blue Dream Entertainment is launching the biggest concert for a cause of Star Magic: The World Concert Tour live at the Araneta Coliseum on November 13 this Friday. Seventy plus artists will surely rock the dome with explosive performances that you shouldn’t miss. The list starts with Piolo Pascual, John Lloyd Cruz, Bea Alonzo, Claudine Barretto, Diether Ocampo, Kristine Hermosa, Gabby Concepcion, Vina Morales, Angelica Panganiban, Sam Milby, Yeng Constantino, Bugoy Drilon, Jed Madela, Jake Cuenca, Kim Chiu, Gerald Anderson, Zanjoe Marudo, Roxanne Guinoo, Maja Salvador, Shaina Magdayao, Pokwang, Nikki Gil and many more big stars! The Star Magic artists won’t just light up the place but also lighten up the load of those victims and survivors of recent calamities by pledging their talent fees. Also, producers have already signed to donate the portion of the concert’s proceeds to Sagip Kapamilya. You can be part of this concert and it’s cause. Call Ticketnet 911-5555 for your tickets now. Quezon City is one of the places in Manila that was greatly affected by the typhoon ‘Ondoy’. Many dwellers were hurt and some even died because of the calamity. 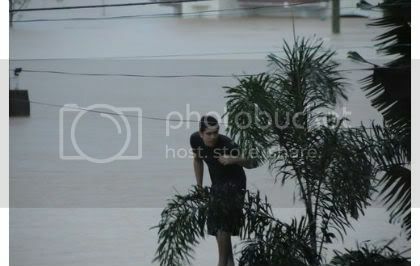 Gerald Anderson who happens to be living in Quezon City became a sudden hero during the outrage of typhoon ‘Ondoy’ last Saturday. 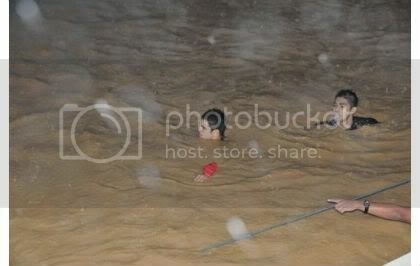 Gerald’s neighbor who was trapped helplessly on a roof was saved by the ‘Tayong Dalawa’ heart throb, mindless of the terrifying chest-deep flood. Gerald’s heroism gained praises and recognition from the ABS-CBN management. The young star also gained admiration from fans who were inspired and touched with Gerald’s bravery. ABS CBN never ceases to amaze us of what they have in store for us. Could it be a chance for Robi Domingo, our ex-teen housemate to fish out Nicole from Josef? Robi will do the part of Vincent in My Girl! And he will be playing love triangle with Josef and Nicole. This will be his first job with ABS and surprisingly… he’s not actually on the lookout for Nicole outside the set. Instead, he could be trying to pry Kim… oops. What could be the reaction of Gerald here?